Blog Which Oils are Safe to Ingest? Which Oils are Safe to Ingest? The following article was written by the Education Team over at the Corporate blog for Young Living Essential Oils. Let’s start at the beginning. Essential oils are highly concentrated plant extracts, with a single drop containing the equivalent constituents of several plants.So while the important benefits we find in nature are valuable and important, it’s also critical to remember that too much of a good thing is a bad thing. For instance, while we all need water every day to live and thrive, too much could lead to water toxicity. Similarly, using too much of an essential oil can result in negative effects. That’s why the directions on the label are so important; they maximize safety and the benefit of the oil, while minimizing any potential reactions. This begs the question, however: Which essential oils are safe to ingest? You always want to make sure that the essential oils you choose to use internally are the purest available and that they come from plants that are safe for human consumption. Fortunately, Young Living has a line of essential oils specifically labeled for internal use with directions on how to do so safely. There’s no difference in purity and authenticity when it comes to our Vitality™ oils and our topical/aromatic oils, but our Vitality line is clearly labeled for internal use. When used in the proper, instructed amounts, Young Living Vitalityoils provide you the freedom to share and explore essential oils in nutritious and delicious ways! Blend a drop in Gary’s True Grit® Einkorn Pancake and Waffle Mix Top your breakfast with fresh fruit for a healthful breakfast that tastes like lemon-poppy seed cake. 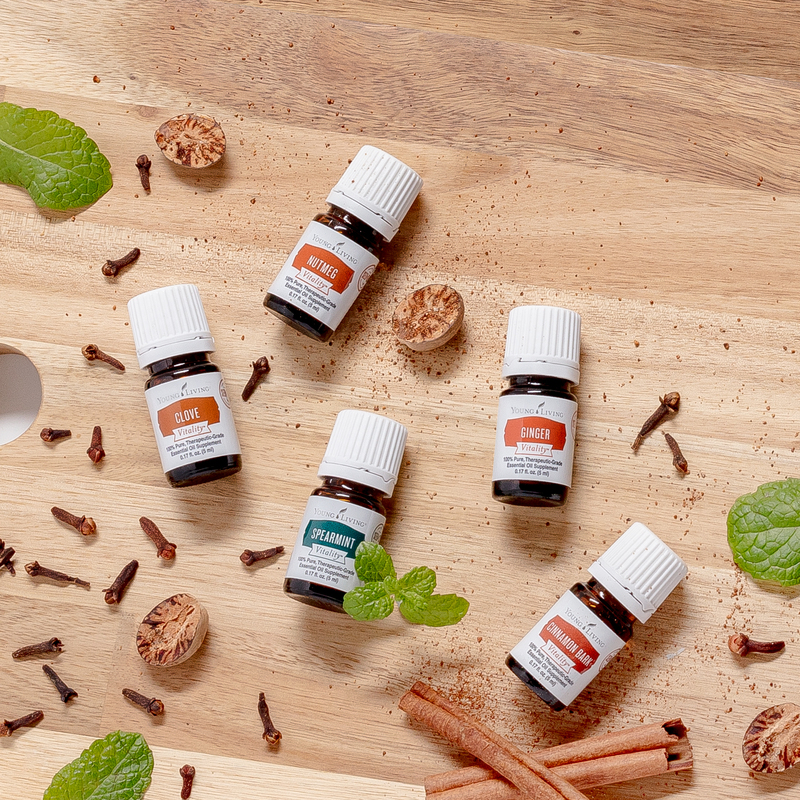 What is your favorite way to use Vitality essential oils? Let us know in the comments below. *These statements have not been evaluated by the Food and Drug Administration. Young Living products are not intended to diagnose, treat, cure, or prevent any disease .